Over the years I accumulated the parts for this system. Unfortunately I never found the time to get it operational so in July 2007 I decided to take some last photos before getting rid of it. Hopefully to someone who can use it. The complete system. 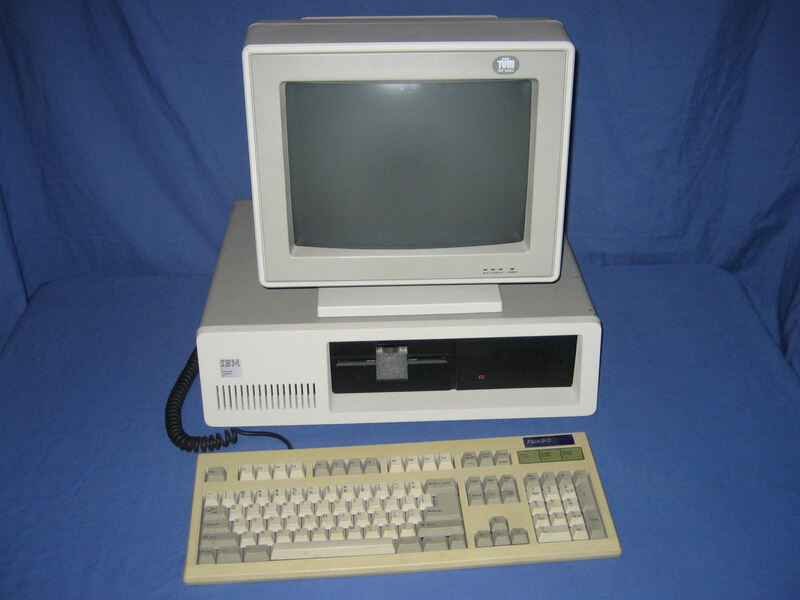 Neither the display or keyboard are original IBM items. 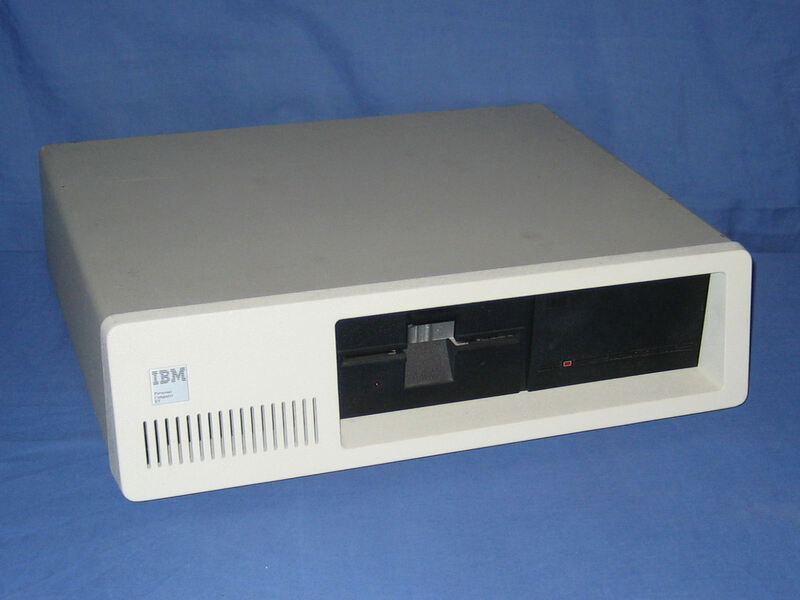 The front of the unit showing the iconic logo on the left and two full height drives on the right, a 5.25" floppy drive and a hard drive. The rear of the unit. 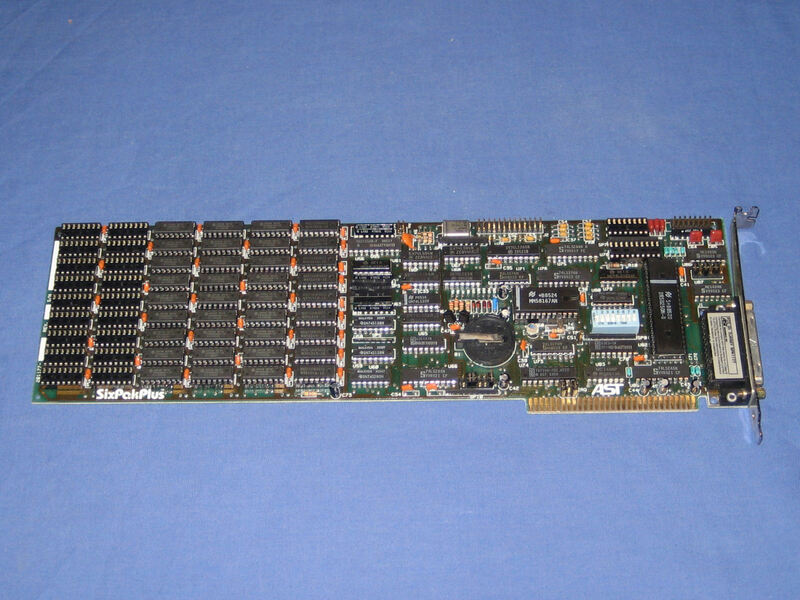 The only port provided by the motherboard is the keyboard, the remainder must be provided by expansion cards. 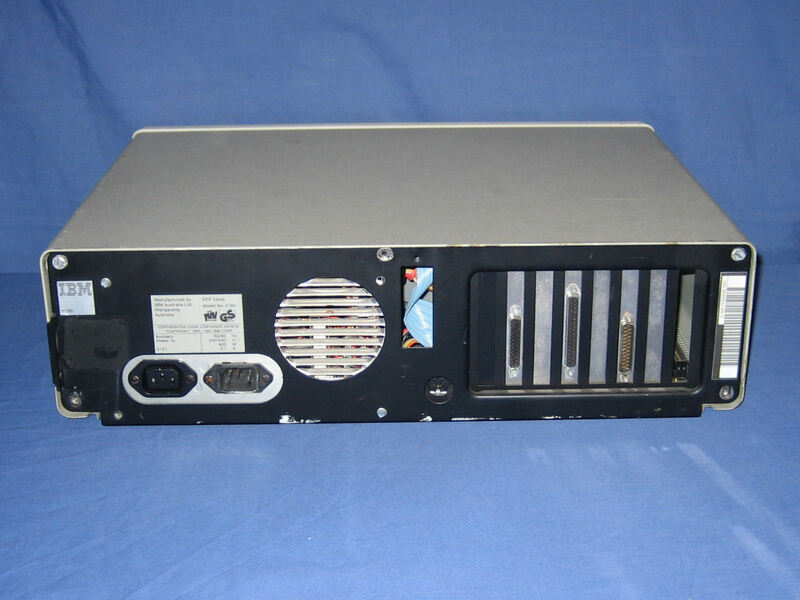 The unit with the cover removed. 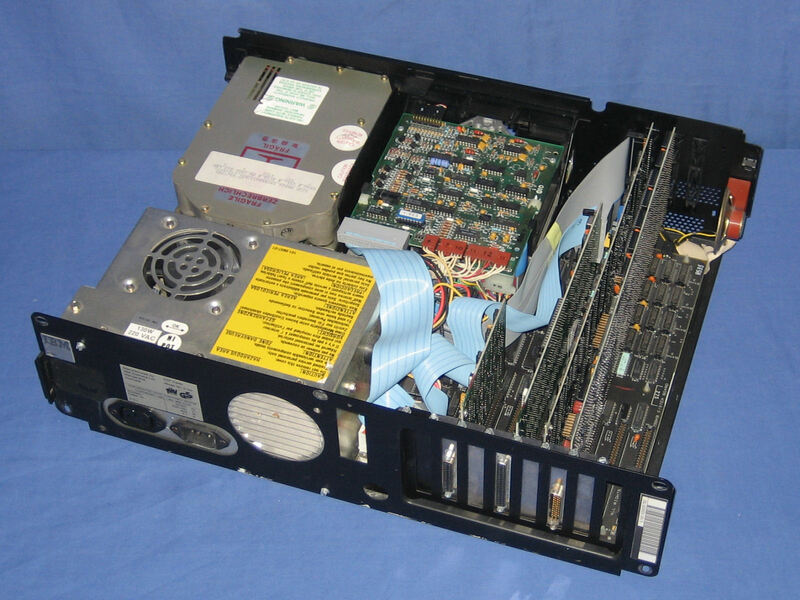 The power supply and floppy drives take up the bulk of the space, with the remainder available for full length expansion cards. 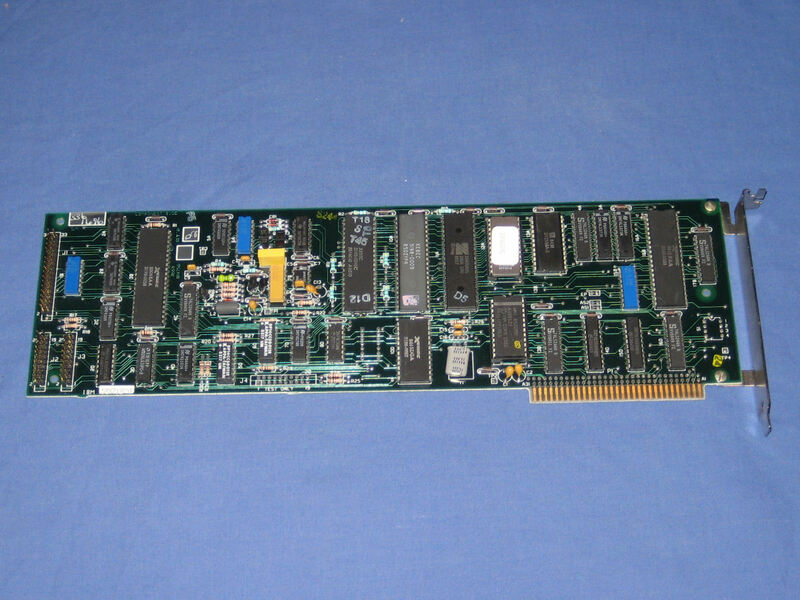 Floppy drive controller card. The edge connector on the left serves the two internal drives. The external connector I believe supports two more drives. 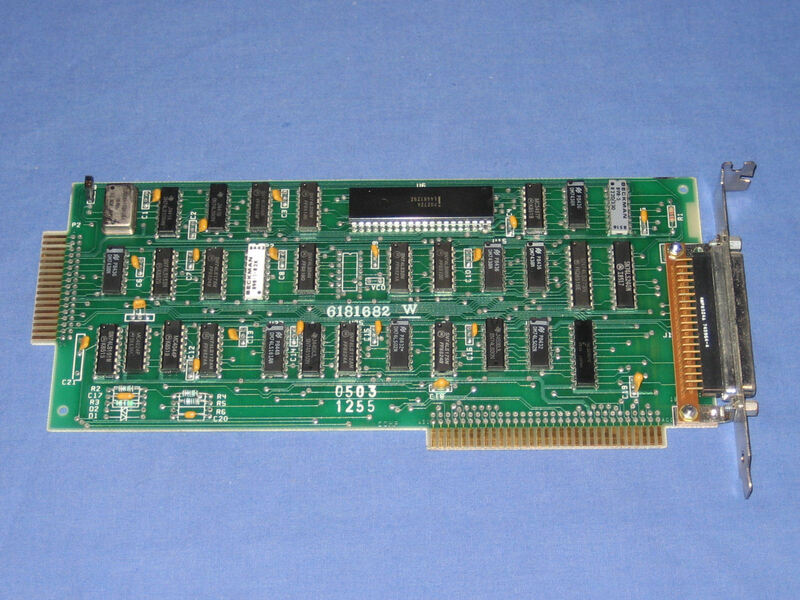 A ST-506 controller card for the hard drive. Two cables run from the left side of the card to the drive. 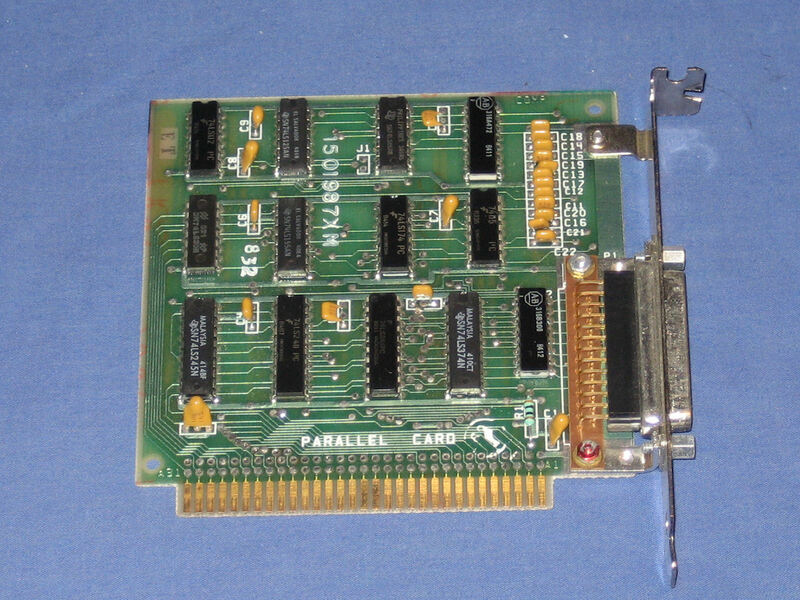 An AST SixPakPlus card that provides additional memory, a clock, a game port, and a serial port.